* This is a TFC type membrane with capacity of producing 100 gallon per day. * TFC-100 High rejection TFC membrane we use genuine US MEMBRANE membrane filter, 100 gal/day, it removes 95% to 98% of all chemical, dissolved solids in tap water. Made in USA. Standard size Reverse Osmosis membrane filter. Fits all standard size RO systems and membrane housing. This membrane fits all standard size membrane housing, standard RO systems. You can increase the capacity of your existing RO system by getting a higher capacity membrane filter with a matching flow restrictor, or getting a membrane module which comes with membrane filter, housing, fitting, flow restrictor, and check valve. Production rate: 100 gallons per day max. Actual production rate varies depending on input pressure and temperature. Consistent quality and reliability using automated production line. How to choose the correct RO membrane filter for your RO system? Check the capacity of your RO system or RO membrane. Capacity means how fast the membrane produces water. The number means gallons per day (GPD). You can find this from your RO system owner’s manual, and specifications. You can also find the GPD rating from the membrane filter label when you take out the membrane filter. 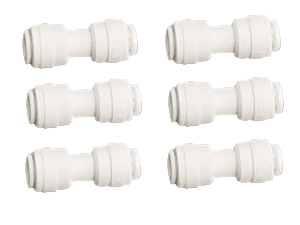 You can also find the GPD rating from the drain flow rate or from the flow restrictor that is connected to the drain line.